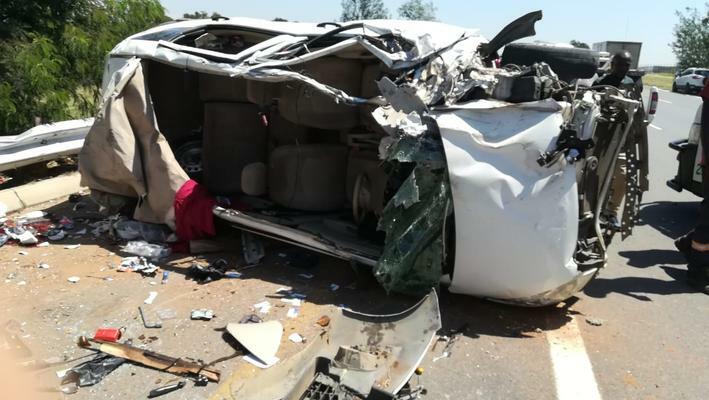 A man and a woman died and three other people where injured when a car and an SUV collided in Ekurhuleni on Saturday early afternoon, paramedics said. Netcare 911 paramedics responded just after 12pm on Saturday to reports of a collision on Allendale Road in Kempton Park, Ekurkuleni in the direction of Midrand, Johannesburg, Netcare 911 spokesman Shawn Herbst said. Reports from the scene indicated that a car and an SUV were involved in a collision resulting in the SUV rolling several times. Two adult male occupants of the car sustained moderate injuries and once treated were transported by ambulance to hospital for further treatment, Herbst said.